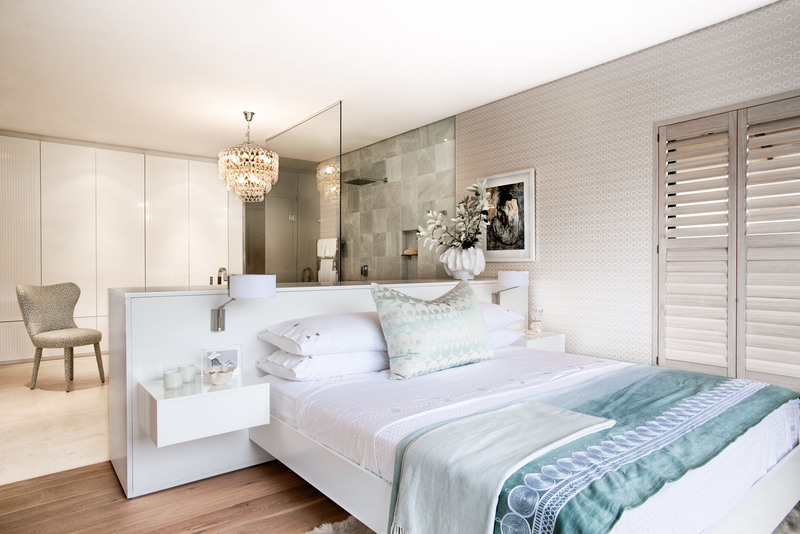 When a Joburg-based family of six decided to move to Zimbali Coastal Resort and subsequently needed an update on their home, Michele Throssel Interiors was the obvious choice because of the firm’s love, of what has undoubtedly become their area of specialization, ‘beach-house glam’. With four kids in toe, the home had to accommodate them, their outdoor activities as well as their friends. It also had to be a home where their parents got to fulfil their love of sophisticated entertaining. 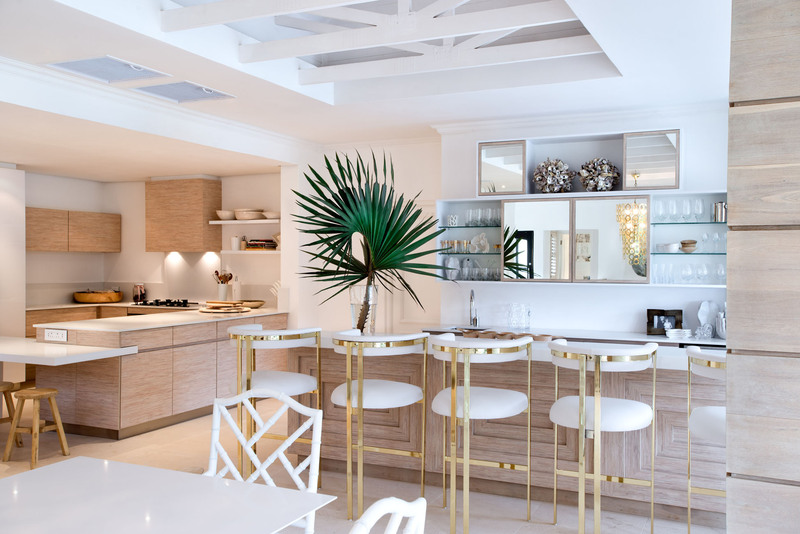 Inspired by an art-deco aesthetic, Michele’s love of gold and geometric shapes were in sync with the couple’s taste – every where the eye falls is a gold accent, whether the legs of a bar-stool, the rings of a stand-out chandelier, to the geometric coffee table bases. 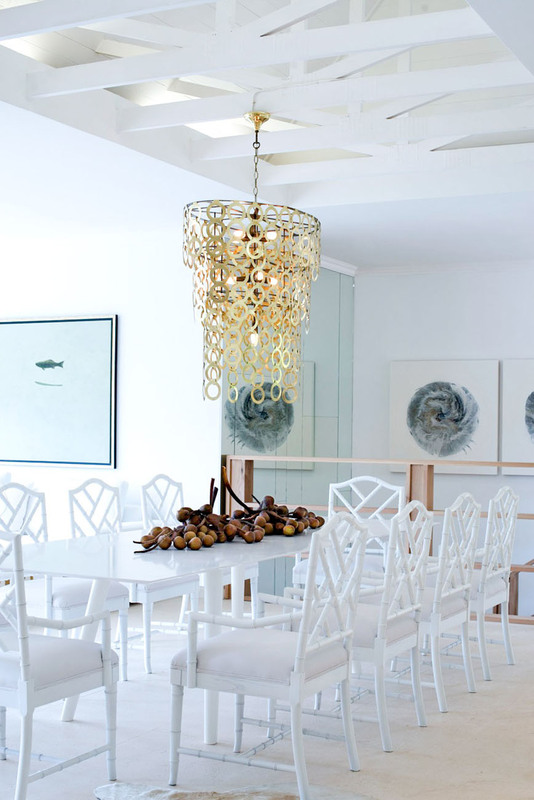 Combining this with the barefoot beach – house elegance is where Michele and her team’s creative genius come through. 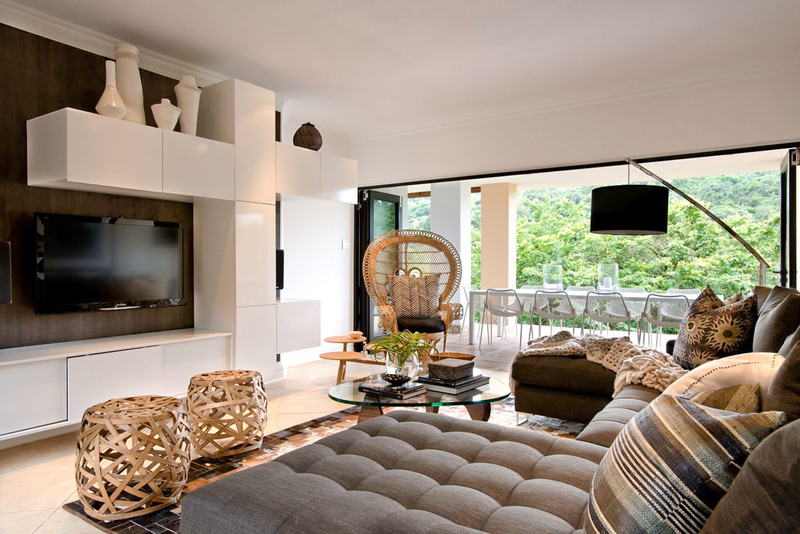 The neutral palette of white, beige and other light hues, is made even edgier with the use of bold African accessories. 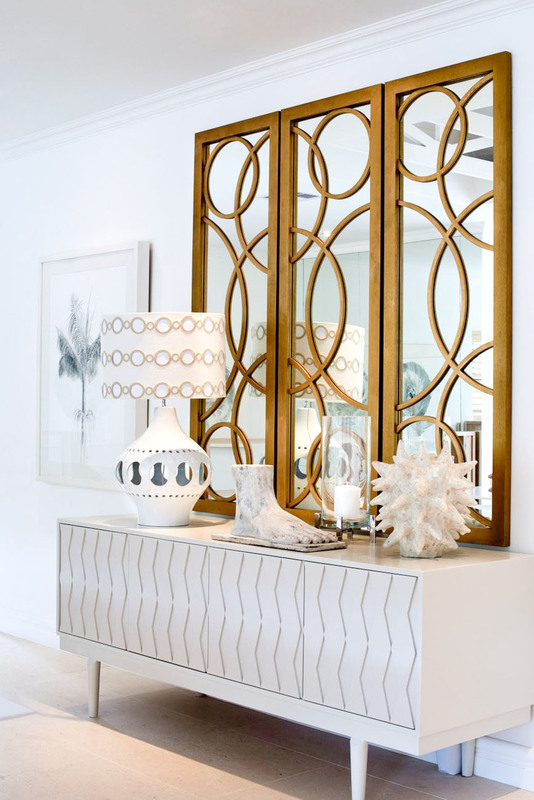 And then of course there is the abundant use of varying textures, another signature of a home touched by the magic wand of Michele Throssell Interiors. Warm unglazed timber, raffia rugs, plush carpets, interesting floor tiles, rattan furnishings and ceramic accessories are but a few examples. A big influence on the overall look is the dense vegetation and beach surrounding the house. Every room and node has a connection to this idyllic part of the country, a region that has a sub-tropical climate and abundant vegetation. 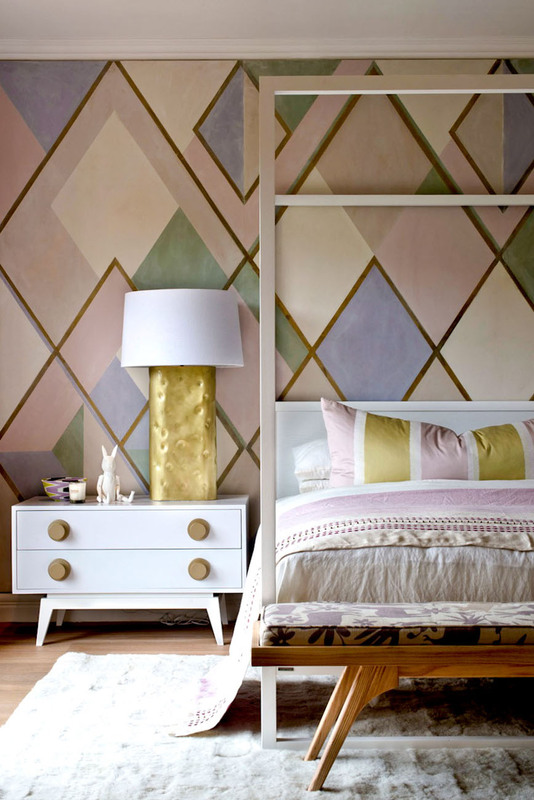 Although a mainly neutral palette throughout, fittings such as aquamarine bathroom tiles, a charcoal covered couch, flashes of gold and other subtle variations mirror, in a muted way, the rich vibrant colours beyond.